The European Chemicals Agency (ECHA), based in Helsinki, has set three major deadlines for registration of chemicals. 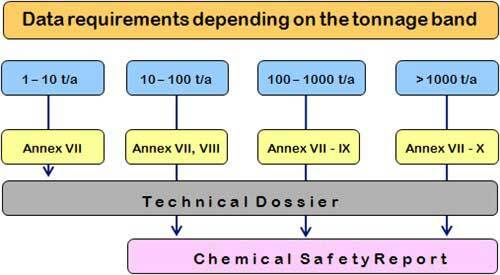 In general these are determined by tonnage manufactured or imported, with 1000 tonnes/p.a. being required to be registered by 1 December 2010, 100 tonnes/p.a. by 1 June 2013 and 1 tonne/p.a. by 1 June 2018. In addition, chemicals of higher concern or toxicity also have to meet the 2010 deadline. Eurofins offers clients an efficient, straightforward route to meeting their REACH data requirements within these challenging timeframes.